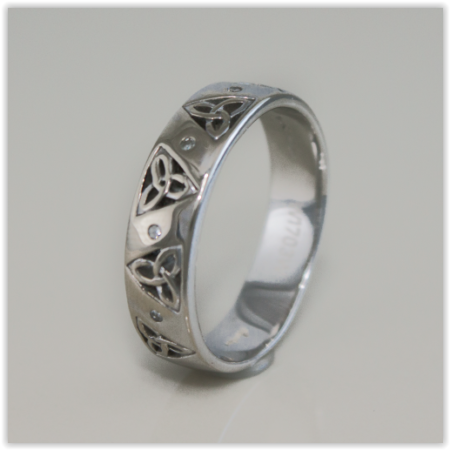 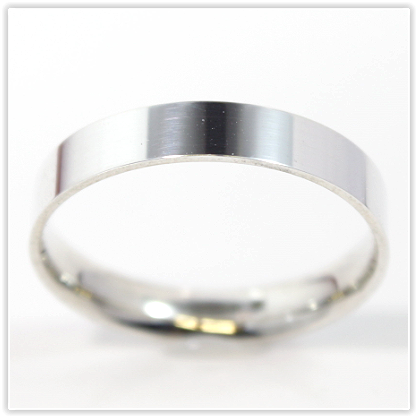 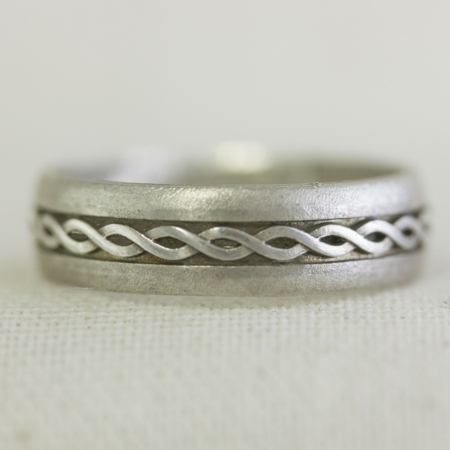 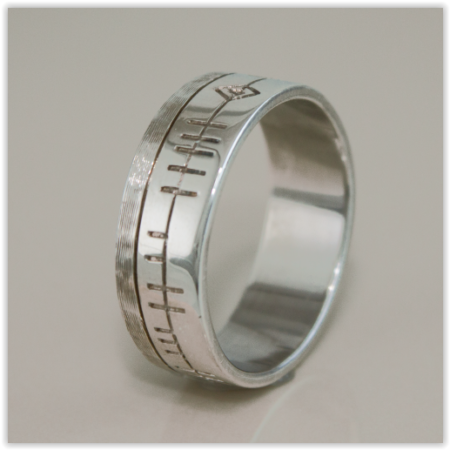 Type: Court Shape White Gold Wedding Ring. 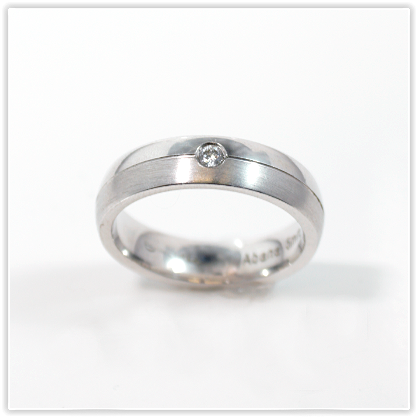 One half of the ring is polished to a high shine while the other is finished with a matt effect for a beautiful contract. 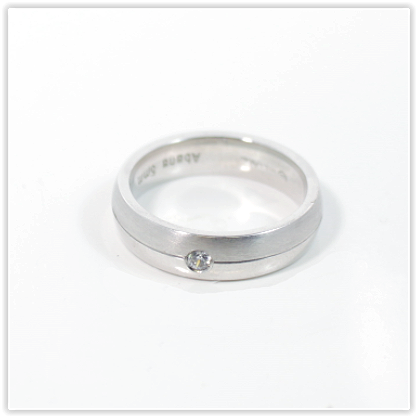 Set with one 2mm round brilliant cut diamond.